The new feature in the iPhone allows its users to download, customize, view and share their health records. KLAS enterprises hired companies that tested all the 12 beta delivery systems and they found out that, Apple Health Record is not only a marketing technique but it has a great potential to positively influence how physicians and doctors interact with patients and how patients work with their healthcare. Apple Health Record might be the new player in Electronic Medical Records (EMR) software market. How will health records work? This feature will enable iPhone users to securely store their health information on their iPhones. This will increase patients’ convenience and satisfaction. Although, there is a chance that Apple can fail in healthcare records, like other huge companies i.e. Google and Microsoft. The testing teams believe that there is a great possibility that Apple will succeed. This is because the EHR Software adoption rate is very high at the moment, and Apple did not hurry things up, they did everything smoothly to make sure that they develop a great user-friendly medical record system. Almost 60% of the testers believe that Health Records will give rapid benefits. The application development may take a long time, but basic functionality for the patients will start very soon. 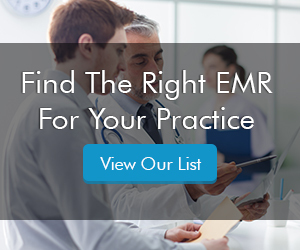 There are a number of ways by which Electronic Health Records (EHR) software can change the health industry. Such as providing better healthcare to patients, solve interoperability problems, fast increase in innovation, allowing healthcare to external vendors and many other ways. In the early stages, the very first concern of the practices is to utilize the benefit of making patients download their health records, which needs very less time, cost, and effort. Almost 25% of the healthcare providers expect Apple to drive to the adoption process, not their own organization. Apple added 27 more healthcare systems that vowed to make health information of the patients available via the Health Record System making the current total of 39 systems. The company will have to go through a long way to attract the country’s majority of the hospital systems. They need to work beyond their main vendors – Cerner, EPIC, and Athenahealth. A CIO told KLAS, “If an Android version becomes available, that will be a home run for a lot of people.” This clearly means that the health records will have to be available for other smartphone users, who do not have iPhones/iPads.